In addition to medical school, which he is completing in May 2013, Jean Christophe Rusatira also participates in different public health activities. As an active member of the Medical Students’ Association of Rwanda (MEDSAR) through its Standing Committee on Public Health (SCOPH), he performed a significant role in the development of public health projects and relationships with other medical students from abroad, namely the United Kingdom, Germany, the United States of America, Denmark and Canada. These projects include the Rwanda Village Concept Project, and the Rwandan Youth Organizations’ Network. He worked with different stakeholders, namely UNICEF, Centre National de Lutte Contre le SIDA (CNLS), JEFFHEALTH, and WHO in Rwanda for community development projects and campaigns. In 2011, he led a 6-month campaign on Breastfeeding Education in which a total of 9878 people/families participated. 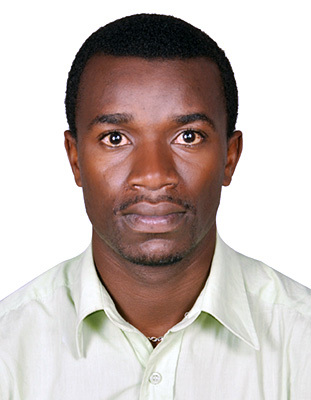 Additionally, in collaboration with the University of North Carolina at Chapel Hill, he conducted a research study – “What Affects the Integration of Men in Family Planning” – which will soon be published in the Rwanda Journal, and he won the research award of the year 2012 at the National University of Rwanda. As a young graduate, Christophe plans to explore his potential in public health, and acquire as much experience and skills as possible as a medical professional. He is committed to improving reproductive and sexual health in Rwanda through different programs, especially in the field of research.